The regimge slogan Kangsong Taeguk [Kangsong Buguk] translates as "strong and prosperous state" or "rich nation, strong army" -- meaning a country that is militarily powerful and economically prosperous. Kangson was the old Japanese colonial-era name for Chollima. In May 2018, David Albright of the Institute for Science and International Security reported "We have learned of a suspect gas centrifuge site, in addition to the one at the Yongbyon Nuclear Center, that has the name of Kangsong. 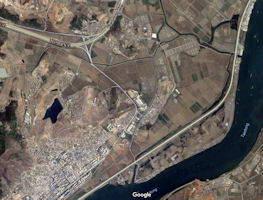 It may have other names as well.... • The original information about this site came from a defector several years ago who stated he worked near this site. Defector information must be confirmed. However, we have received the names of other alleged centrifuge sites that we viewed as less credible than the information about Kangsong. Moreover, this site appears to have received greater foreign governmental scrutiny and credibility than the other sites, particularly by the United States. • The exact number of centrifuges in the secret facility is difficult to predict but we have been told that governments estimate that it could contain 6,000-12,000 P2 centrifuges... Not all government analysts agree that it is a centrifuge site. 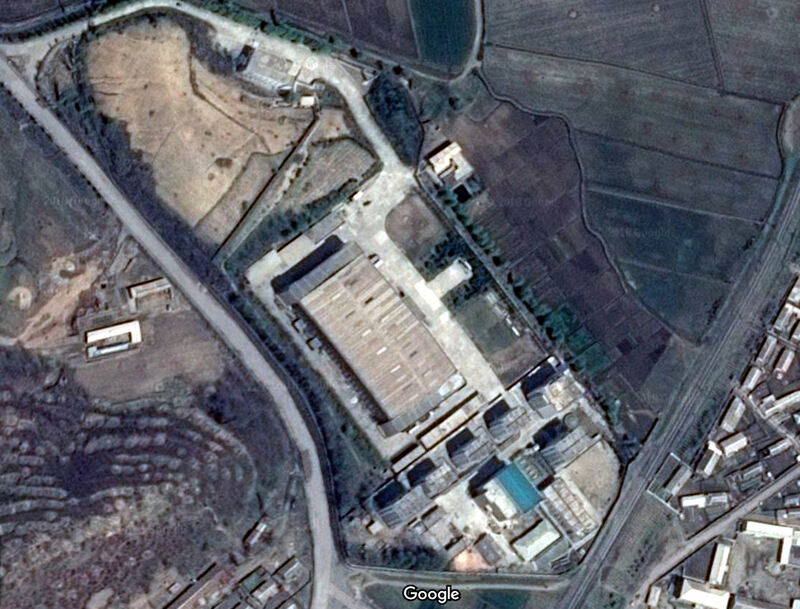 Although there appears to be more information than just a defector report, some aspects of the building are not consistent with a centrifuge plant, leading senior officials in at least one government to not believing this facility is a centrifuge plant." Albright provided a estimate of the number of wapons from all of the estimated Pu plus WGU from two centrifuge plants, as of the end of 2017. The median of this slightly skewed distribution was about 47 weapons, with the 5th and 95th percentile of 37 and 62 weapons equivalent. 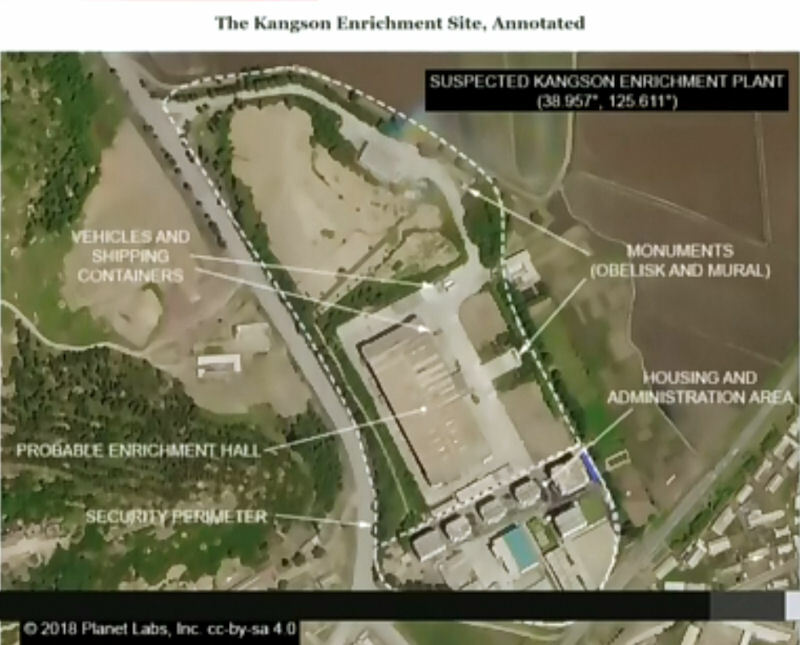 In July 2018, Ankit Panda reported in The Diplomat that "The facility is North Korea’s first covert uranium enrichment facility, known by the U.S. intelligence community as the Kangson enrichment site. It is where, for more than a decade—possibly as long as fifteen years—North Korea has been enriching uranium for use in nuclear weapons. It is older than the well-known enrichment site operated by North Korea since at least 2010 at the old Fuel Fabrication Plant at Yongbyon." 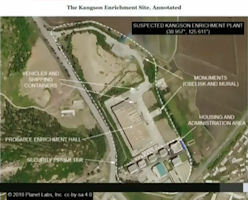 The Diplomat, along with a team of open source researchers at the Center for Nonproliferation Studies at the Middlebury Institute of International Studies at Monterey led by Jeffrey Lewis, was able to locate the Kangson covert enrichment site. Ankit Panda noted " the enrichment site was built a little more than five kilometers away from the city’s Mangyongdae neighborhood, North Korean founder Kim Il Sung’s birthplace, per North Korean propaganda. 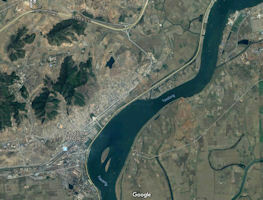 Thus, for more than a decade, North Korea has been enriching uranium in what is effectively a Pyongyang suburb, on the doorstep of Kim Il Sung’s mythologized birthplace."